Point2 Homes gives you far more than a simple list of houses for sale. Get instant access to a lot of relevant information about Halton Hills, ON real estate, including property descriptions, virtual tours, maps and photos. The search results pages also have a wealth of information on Halton Hills, ON, if you scroll all the way down. There are 163 houses for sale in Halton Hills, ON. 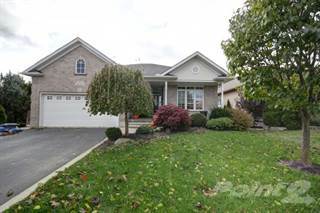 Searching homes for sale in Halton Hills, ON has never been more convenient. With Point2 Homes, you can easily browse through Halton Hills, ON single family homes for sale, townhomes, condos and commercial properties, and quickly get a general perspective of the real estate prices. Also, you’ll never miss a bargain if you filter listings based on house price drops in the past six months. Use the map view to find Halton Hills, ON homes and apartments for sale, based on amenities or city features that you may want close by. You can close in on a specific neighbourhood or area by simply drawing around them with the polygon or radius tools. Stay informed about the latest entries on the real estate market by saving your searches. This way, you get new listings in your inbox, daily or every week, based on your preferences. If you’d like to get in touch with a professional, agents are displayed next to their listings, and they’re easy to contact through the online forms. If you want more options, you can click the Tools tab and Find an Agent, and you’ll get a list of helpful and knowledgeable real estate agents in Halton Hills, ON. Visit the Point2 Homes blog and you can find up to date expert advice on many markets throughout Canada, regular market reports, neighbourhood scoops in cities throughout the provinces, real estate deals and useful recommendations. Halton Hills is a city in the province of Ontario in Canada. The city is part of the Regional Municipality of Halton. It has a population of over 59,000 people and stretches over and area of 276.26 kilometers. The city has three watersheds that flow to the west, north and south. Halton Hills is an amalgamation of mainly Georgetown and Acton. Halton Hills always puts on festivals and events throughout the year. One notable event is the Santa Claus Parades that take place throughout select neighbourhoods during the Christmas season. An interesting annual event that takes place in the city is the Highland Games. There are many different activities with a piping competition, highland dancing and even activities for the kids. Halton Hills has plenty of places to shop. Toronto Premium Outlets is a mall in Halton Hills that has large brands such as Calvin Klein, Kate Spade New York and Burberry. The mall also has plenty of features to enhance your shopping experience including mobile charging stations, parking for new mothers or young families and wireless internet. Georgetown is another hub for shopping. There are a great variety of stores in the area from small shops to large brands. There is also plenty of options for dining here after a long day of shopping. Halton Hills has an abundance of parks and trails for residents to enjoy. The city even has two parks where dogs are able to run around without a leash as they please from 7am until 11pm. These parks are great places for dogs and dog owners alike to meet new people and their furry friends. Skate parks and splash pads are also present in the city for people who enjoy a day out practicing their tricks or if they would rather, cooling down with friends and family. Halton Hills can be divided into two parts: Halton Hills North and Halton Hills South. Most of the most notable neighbourhoods are located in Halton Hills North. Halton Hills North consists of the communities of Acton, Limehouse, Georgetown, Stewarttown, Norval and Glen Williams. Acton is a village that has many events and amenities. There are fairs and festivals held here like the Leathertown Festival, which celebrates the community’s leather industry. There are delicious restaurants and beautiful parks in the community. Limehouse is decorated with many trails for residents to enjoy. Limehouse has a history with mining, which can be observed at the Limehouse Conservation Area. There are many interesting caves to explore in the area as well. Aside from the exploration aspect of the community, there is a school in the area. Georgetown is filled with shopping, businesses and restaurants. It is a beautiful community and one of the urban centres within the city. Norval is a neighbourhood filled with history. It has a garden and a sundial. There are parks and services within the neighbourhood as well. Glen Williams is another neighbourhood that is rich in history. The buildings are quite old here, and monay are the original buildings that were built in the area. The Credit River flows through the neighbourhood and there are different amenities in the area. The Williams Mill Visual Arts Centre is also here. Halton Hills South includes the communities of Scotch Block and Hornby. Both of these areas are very rural, and places like golf courses and reserves mainly take up the area here. Hornby has more amenities with a few businesses and a park. The neighbourhood also has a golf course like Scotch Block. Toronto Premium Outlets is also located in Halton Hills South near the MacDonald-Cartier Freeway. In Acton there are townhouses, and single-family homes. There are new developments that have been taking place here, which means that there are some newer homes. The area ranges in affordability with some properties that have a lower price and others with higher prices. In Georgetown, there are detached and semi-detached homes as well as townhouses and condominiums. Depending on the property the price can be quite high. There are many large properties here as well. 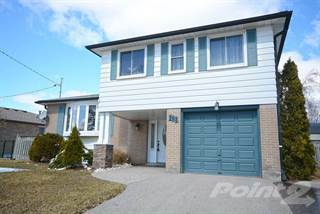 Norval has single-family and detached homes. The properties range in affordability, but most of the properties are quite expensive. There is a mix of both smaller and larger homes here as well. Glen Williams has single-family homes. There are some large and expensive homes in the area. Others can be smaller, but still a good size and they are less expensive. Scotch Block has single-family homes. The homes can be quite expensive here with the many features that can come with them. The properties are large and some have great views. Hornby also has single-family homes. There are large lots here as well that can be quite expensive. There are two school boards in Halton Hills: Halton District School Board and Halton Catholic District School Board. Both of these are English language school boards. There are also two French school boards in Halton Hills: Conseil scolaire de district du Centre-Sud-Ouest and Conseil scolaire de district catholique Centre-Sud. Although these school boards operate schools all over the Halton Region, many of them are located within Halton Hills. Within the Halton Region, there is one option for post-secondary education: the Sheridan Institute of Technology and Applied Learning. There are also options within the Greater Toronto Area like McMaster University, Brock University and Humber College. Halton Hills has a great location within the Greater Toronto Area. There are also four industrial business parks in the city. It is considered part of the Halton Region, and contributes to the economy. Halton Hills also focuses on the sustainability of the businesses in the city. This means that the businesses focus on how they are impacting the environment and how they make an impact socially. Some of the businesses in the city that are going green are Canadian Tire and The UPS Store. Some of the main industries in the Halton Region are digital media, financial and manufacturing. Halton Hills can take advantage of Toronto’s digital media industry and propel their own further. The post-secondary education options near the city have many programs that spawn talent from this industry. As for financial, the industry is large in Halton Hills with many large companies from this industry locating their businesses here. There are also many organizations to support the growing financial sector in Halton Hills. Many global manufacturing companies have placed locations in Halton Hills as well.